We’re all human, and as such, it’s a fool’s errand to deprive ourselves of our favorite treats day in and day out. Some experts advocate an 80/20 rule. If you eat incredibly healthy 80% of the time, then it’s no problem to treat yourself with the remaining 20%. Personally, I shoot for about 85% clean eating, 10-15% minor treats (bread, pasta, crackers, a glass of red wine) and no more than 5% “major” treats (fries, ice cream, chocolate, a slice of key lime pie, a margarita). If you’re planful, you can indulge without blowing your weight management routine. What do I mean when I say eat “incredibly healthy”? Most of your food should be plant based, rich in vegetables and fruits. Also, load up on beans, nuts, hummus, fish, and so on. When you do have bread or pasta, it needs to be whole grain or whole wheat, and should be free of high fructose corn syrup and other unhealthy additives. I’m currently attending a conference about obesity. Although I arrived at the airport early enough to do some walking and to have a meal, I forgot to bring healthy food from home, violating one of my cardinal rules of travel. (If you don’t bring along healthy snacks, you’re more likely to waste your calories on some indulgence.) I sat down at an airport restaurant and ordered grilled fish and a salad with balsamic vinaigrette on the side so I could control the added calories from the salad dressing. Then the waiter offered fries or a potato. FRIES???? EEK!!!!! My greatest food weakness. Ahhh…fries. “I’ll have the fries please. With mustard.” (Better than fries with ketchup, right?) And so once again we see that we are all only human. Temptation lurks around the corner, day in and day out. Since traveling can be so dangerous when it comes to weight management, here are a 5 rules to minimize the impact of air travel on your weight. To reduce stress, and the likelihood of grabbing something unhealthy while racing to the gate, arrive very early for your flight. Once you’ve checked in and have found your gate, begin your walking program. Wear a pedometer and walk the terminal at a moderate pace, while pulling your rolling suitcase. Move quickly enough to work up a light sweat without ruining your travel clothes. See if you can log 5,000 steps before your flight. Plan your snacks before leaving for the airport. 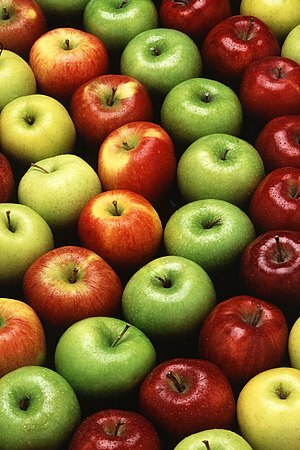 Bring an apple in your carry on bag. I used to also recommend a small baggie with nuts, but given that so many folks have life threatening nut allergies, bring along a container of baby carrots or a baggie of seeds instead. 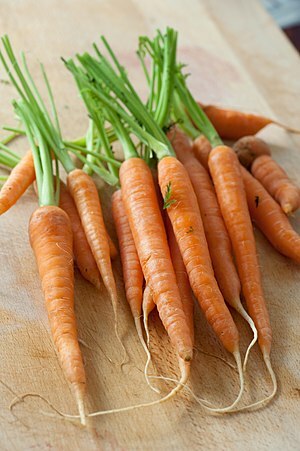 Eat the carrots first as they won’t survive all day outside the refrigerator. If you fill up on these healthy snacks, you’ll be less inclined to indulge in junk food at the airport. If you are flying around mealtime and plan to eat at the airport, look for sushi, salads (balsamic vinaigrette, yum), or grilled fish with vegetables. Many airports are offering healthier options, so for goodness’ sake, avoid those fries if you can! On the flight, skip the soda and juice. Drink water, tea or coffee, without added sugar of course. While it’s important to stay hydrated, there’s no reason to waste your calories on an unhealthy beverage. If you do drink alcohol before or while flying, limit yourself to one glass of wine, one mixed drink or one light beer. It would also be great if you would follow my blog (www.DrLisaOldson.com) or follow me on Facebook (Dr Lisa Oldson). Good article! I like your 80/15/5 ratio of healthy eating! It’s good to know that even Dr. Lisa is human. It gives me hope that I can make these healthy changes in my lifestyle. Thanks Dr. Lisa!